Infused Water Is Not Detox Water, But It’s Still Good For You. Water Brands of 2017: How Do They Compare? Sparkling Water Alcohol has Arrived. Here are your Top 5. Mineral Water, Tonic, Seltzer, Club Soda, What’s the difference? All water is not created equal. If you’re reading this right now, you’ve started to do your homework about the nuances of water. Distilled versus mineral, still versus sparkling, pros and cons of each, the information can get pretty murky. So we’re here to bring to light some of the variations between the types of sparkling water out there. For a more in-depth look at the properties and differences of still water, go here (<hyperlink to breakdown on still water). First off, let us establish the common thread between our carbonated compatriots. Technically, each one listed below is considered a “sparkling water”, bottled with some level of carbonation, whether natural or artificially added prior to bottling. Artificial carbonation is the process of adding dissolved carbon dioxide and carbonic acid into water, via commercial manufacturer or a home carbonator like SodaStream. But despite this basic similarity, sparkling water comes in all shapes and sizes. So let’s dive in. Sparkling mineral water comes from a natural source deep within the earth, anywhere from a hundred to a thousand meters or more underground, either with carbonation included or added after in the bottling process. Complete with its own signature of minerals such as carbonate, salts, calcium, magnesium, sulfur, and various others, water from some springs has historically been reported to have almost miraculous healing properties. Now, it’s said that you can’t fix crazy, but drinking clean, minerally balanced water can possibly help improve a plethora of issues. A large percentage of people suffer not only from regular dehydration but also from various mineral deficiencies. Thus, drinking sparkling mineral of various kinds may be of great benefit. We’re not guaranteeing your Great Aunt May will suddenly remember your birthday by drinking Voss Sparkling every day, but don’t be surprised if you get some extra mail next year. Originally a trademarked brand of naturally carbonated mineral water in Selters, Germany as far back as 1728, seltzer water made its way to the US as a more affordable sparkly alternative to its mineralized counterpart. 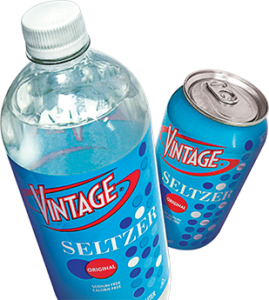 (2) Cut to the present, modern seltzer water is still simple: artificially carbonated, filtered water. In other words, it’s pretty much like sparkling mineral water, except for the minerals. Also like other sparkling waters, it is often fairly acidic, with an average pH between 3 and 4. Plainly, seltzer water is the boring cousin of sparkling mineral water. On the plus side, there are plenty of ways to spruce up seltzer, with your own flavor combinations or alcohol, of course. But whatever you do, mix responsibly. Okay, we’ll admit we couldn’t really tell the difference between club soda and seltzer water either. But if you look on the back of the bottle, there’s actually something more going on. Mineral-sounding things, to be precise: sodium bicarbonate, sodium citrate, disodium phosphate, potassium sulfate. 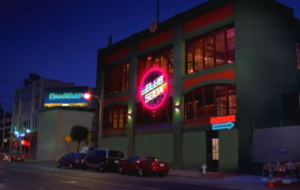 In fact, each of these additives has a purpose: sodium bicarbonate, aka baking soda, is an acid/base stabilizer, disodium phosphate is a chemical compound stabilizer, sodium citrate is responsible for the sour and salty taste in the club soda,and potassium sulfate is the truest mineral component, a source of both potassium and sulfur. 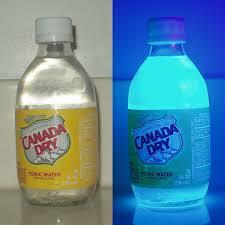 Then there’s tonic water, the bitter, sugary, blacklight reactive anomaly. Originally developed as a preventive against malaria, we would be remiss to leave out the active ingredient, quinine, a legendary curative from the cinchona tree with an almost 300-year antimalarial history since 1630. (4) Championed by the British in India in the early 1800s, quinine was mixed with soda water and sugar as a cocktail mixer, to make better use of British East India Company’s happy hour, of course. Quinine isn’t used against malaria anymore, but it sure does help put the “tonic” in gin and tonic. on Infused Water Is No Detox Water, But It Is Good For You.